Red Hat® Gluster Storage provides an open, software-defined storage solution across physical, virtual, and cloud resources. Test-drive Red Hat Gluster Storage. Amazon Web Services makes it easy—and free. Red Hat Gluster Storage (formerly Red Hat Storage Server) provides an open, software-defined storage solution across physical, virtual, and cloud resources. Founded on Red Hat Enterprise Linux and GlusterFS, Red Hat Gluster Storage combines file storage with a scaled-out architecture that lets you efficiently store and manage unstructured data, providing cost-effective and highly available storage without compromising on scale or performance. Distribute files in smaller pieces across bricks in a volume, and improve heal and sync processing. Handle multiple heals in parallel on Replicate and Distribute-replicate volumes. Take advantage of new configuration options when automating system administration tasks. Run geo-replication periodically to synchronize between clusters or schedule to run automatically. Download the Red Hat Gluster Storage ISO. Your Red Hat Gluster Storage nodes should meet the system requirements . Installing and setting up a 2-node Red Hat Gluster Storage cluster will take about 10-15 minutes. Obtain the Red Hat Gluster Storage software . Install Red Hat Gluster Storage using an ISO. Create the trusted pool . Format and mount the bricks and create the volumes . Erasure coding is an advanced data protection mechanism that reconstructs corrupted or lost data by using information about the data that’s stored elsewhere in the storage system. Erasure coding provides failure protection beyond just single/double component failure and consumes less space than replication. 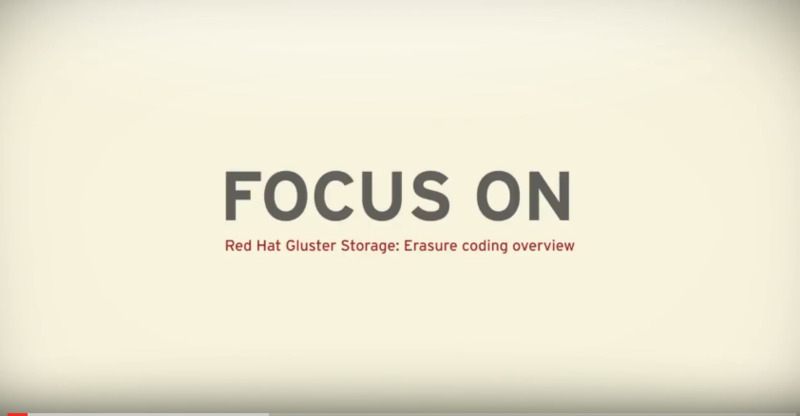 Red Hat Gluster Storage enables quicker self-healing of erasure-coded volumes to improve performance during repair operations. 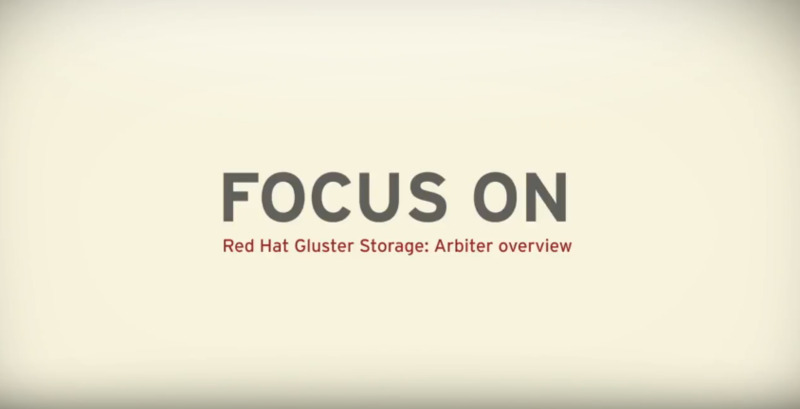 Arbiter volumes in Red Hat Gluster Storage can resolve conflicts in the event of data mismatch without requiring a third copy of the data. The smaller hardware footprint through arbiter volumes helps shrink infrastructure costs while maintaining the same level of data integrity. Solution Architect Jacob Shucart gives an introduction to the GlusterFS product, which provides scalable, flexible and affordable storage for customers. 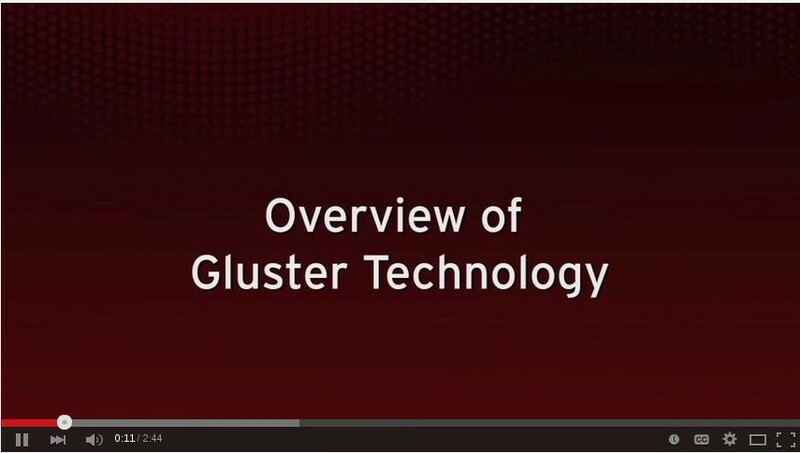 Principal Software Engineer Jeff Darcy gives an overview of the GlusterFS technology and discusses common use cases as well as long term usage in the cloud. In this webinar by Senior Technical Account Manager Dustin Black, Red Hat Storage and GlusterFS are examined in detail, including a peek at GlusterFS logic, redundancy and fault tolerance, typical use cases, and common pitfalls. Join our latest installment of "Hanging Out with Red Hat Storage" to see how Red Hat Gluster Storage stacks up against traditional options like EMC Isilon. Red Hat offers subscription services for each major release of Red Hat Gluster Storage throughout four life-cycle phases—called Production 1, 2, and 3, and an Extended Life Phase.